Unfortunately, one real difference between Street Effective Self Defense vs MMA is that real attacks are generally brutally evil events that are designed to completely destroy and take advantage of the intended victim. Fairness and civility was NEVER a part of the equation for the attacker and the defender seriously risks their life if they do not take the situation as a potentially lethal event because the criminal does not care and is not constrained by any rules or regulations. This is the primary difference between real Street Effective Self Defense vs MMA. In a real street situation if I am having a bad day where I am old, out of shape, injured, sick or tired and distracted I can not simply concede the fight. The attackers are very likely to laugh and then do their best to torture and humiliate me before they kill me. 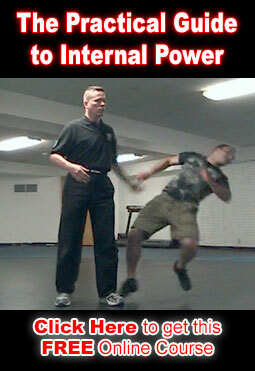 This is a simple difference between Street Effective Self Defense vs MMA. Street effective self defense is for my protection on bad days when the odds are truly against me and the criminal element is trying to harm or kill me and the fight can not be stopped because there are no referees in the street. I wish the harsh reality of street situations and the crime wave we are currently experiencing here in America was different. But my wishing does not make it so. That being the case. I will stick to training and teaching real world self defense vs MMA. An interesting side note: For a guy who does not train MMA I have been challenged a lot by MMA fighters. But I have never been challenged by someone who specifically trains for self defense. I think the reason for this is fairly simple. As soon as a challenger steps forward and makes a challenge he may be practicing fighting but he is definitely no longer practicing SELF DEFENSE. Thank you MMA guys for putting on good tv. Please keep the show going and growing.